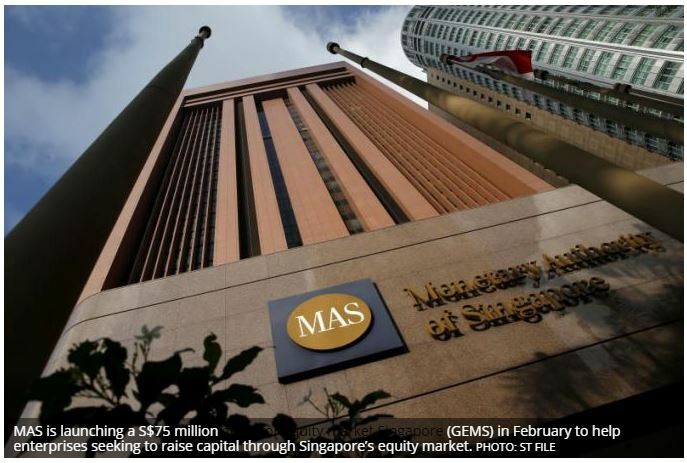 THE Monetary Authority of Singapore (MAS) is launching� a S$75 million� grant for equity market Singapore� (GEMS) in February� to help enterprises seeking to raise� capital through Singapore’s equity market. Minister for Finance and MAS board member, Heng Swee Keat, announced the three-year initiative at the UBS Wealth Insights conference on Monday. GEMS will have three components – a listing grant to help defray initial public offering (IPO) costs for companies seeking a� listing on the Singapore Exchange (SGX), a research talent development grant to enhance Singapore’s research coverage by grooming equity research talent, and a research initiatives grant to support crowd-sourced initiatives to boost� Singapore’s equity research ecosystem. The quantum for listing grants will vary depending on the enterprise sector and its market capitalisation. For example, enterprises in a new tech sector with a minimum market cap of S$300 million could receive co-funding of 70 per cent� of eligible listing expenses, with the grant capped at S$1 million. Meanwhile, enterprises from all sectors with no minimum market capitalisation could receive� co-funding of 20 per cent of eligible listing expenses, with the grant capped at S$200,000. The research talent development grant� will co-fund locals in two ways –� 70 per cent of the salaries for fresh graduates hired as equity research analysts, and 50 per cent of the salaries for re-employed experienced equity research analysts. GEMS, which is funded under the Financial Sector Development Fund (FSDF), will commence from Feb 14. More details will be released closer to the date.